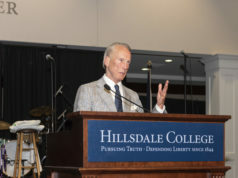 While con­sid­ering the job offer for College Pres­ident several years ago, Larry Arnn came across a his­torical novel about Hillsdale College — and it was partly what inspired him to take the job. The novel was written by a former history pro­fessor named Arlan Gilbert, who taught at the college from 1960 to 1998. Arlan Gilbert taught a record number of stu­dents, worked as the chairman of the history department for seven years, and wrote four non-fiction his­torical novels about Ransom Dunn and the college’s history as a school and during the civil war. His passion for the subject expanded past campus walls into his per­sonal life where he took his family of four on summer road trips that covered all the states, except Hawaii and Alaska, vis­iting every civil war bat­tle­ground like the rural Ante­bellum South or the renowned Get­tysburg bat­tle­field in Penn­syl­vania. Gilbert wrote his first novel “His­toric Hillsdale College: Pioneer in Higher Edu­cation, 1844 – 1990” first-handedly, which helped its story come alive as if he was there. 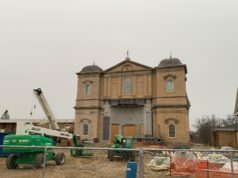 He was able to get into this himself due to his training from graduate school, but Joe McNamara, who is also named after McNamara concert hall by a trustee, helped him throughout, Gilbert said. Before retiring, Gilbert said he remem­bered the incredible growth of the history department. The high stan­dards set by the history department attracted a great number of stu­dents and Gilbert said he enjoyed working with those wanting to learn more. “Not to brag, but if you’re pretty good, some of the better stu­dents are going to enroll, and you have to make it inter­esting to the point that they are gaining some­thing first-hand. In that way, they will appre­ciate what the college has been and is now,” Gilbert said. Gilbert taught a number of courses including American Her­itage, Sec­tion­alism in the Civil War, American Eco­nomic History, and U.S Con­sti­tu­tional History. 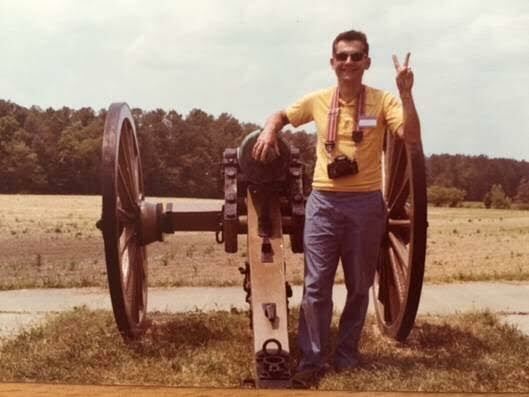 Pro­fessor of History David Stewart said many stu­dents admired Gilbert’s friendly and approachable per­son­ality, adding that they took Gilbert’s classes simply because he was the one teaching them. At the very least, Gilbert’s casual and laid-back teaching style showed Stewart that it was okay to not be so serious while lec­turing. Gilbert not only helped the college through teaching, but he also donated money for the history seminar room in the fourth floor of Delp Hall. 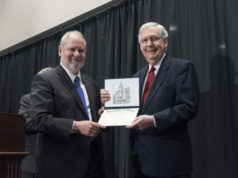 This is just one of many ways in which Gilbert has shown great gen­erosity to the college over the years, Pro­fessor and Chairman of History Mark Kalthoff said. Gilbert’s teaching wasn’t restricted to campus grounds. Kalthoff said Gilbert tutored stu­dents who needed extra help outside of class and office hours at his house, ensuring that they under­stood the material.